Last month, OnePlus co-founder and CEO Pete Lau confirmed that the OnePlus 3T and OnePlus 3 (both released in 2016) would be updated to Android O. While there was no time frame given, owners of the two handsets are certainly hoping that the updates will arrive this year. And it looks like they will. During an AMA (ask me anything) session held on Reddit today, one of OnePlus' employees said that both of the company's phones from 2016 would be updated to Android O "within this year." Of course, OnePlus will first have to wait for Google to launch Android O (and give it a proper name, which could be oatmeal cookie). We already know that Android O is Android 8.0, and should be rolled out to select devices starting later this summer. 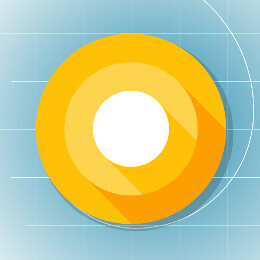 Right now, Android O is available only as a Developer Preview release, and can be installed on Google-branded devices alone. Hopefully, OnePlus 3T and OnePlus 3 owners won't have to wait too long for their Android O updates. Needless to say, the brand new OnePlus 5 (which is shipping with Android 7.1.1 Nougat out of the box) should also get Android O before 2017 ends. The OP3 came with Marshmallow and now has Nougat. I’m pretty sure Android 8.0 will be the last major version that phone gets (from OnePlus) and the OP5 will end at Android Pfeffernüsse. Since you are using a German word for a delicacy only used in Netherlands, Danmark, and Germany. Wow, I didn't know they used the German word in English countries as well. Always thought they were called peppernuts. Let me clarify my usage of the phrase "because I know it" in post #8. I meant I know what Android P is going to be called, I don't know much about actual Pfeffernüsse (or peppernuts). Dunno why Google is going with Pfeffernüsse for the codename. The OnePlus 2 was a wreck, just as most 810 devices were. Once a new, better performing device came along, they were happy to drop support for it. The great thing about it, is that you will still be able to get new versions of Android very easily through modding if you choose to do so, something many phones cannot claim. If you are absolutely against modding or are uncomfortable with it, then the OnePlus series may not have been the best choice for you as far as affordable phones are concerned. ZTE axon or Moto Z play or X phones may be a better choice going forward.